Running along 2,627 kilometers in the heart of Brazil, crossing five Brazilian states, the Araguaia River is one of the 30 largest rivers in the world. Larger than the Ganges or the Colorado, its water discharge averages 6.172 cubic meters per second - three times that of the Nile. In the course of its waters, lies the largest freshwater island in the world, the 2 million-hectare Ilha do Bananal. The island is home of 20 native Karajá-Javaé and Ava-Kanoero Indian reserves, and of a 180.000-hectare National Park. Adjacent to the National Park lies the 90.000-hectare Cantão State Park, one of the most pristine sanctuaries for the Amazonian “igapó”, or looded forest, in Brazil. Moreover, this complex of protected areas is part of a proposed >4 million-hectare Bananal-Araguaia Ecological Corridor, and is an ecotone where the Pantanal, the Amazon and the Cerrado ecosystems come together. All through the wet season, the Araguaia floods the grounds of Cantão State Park. 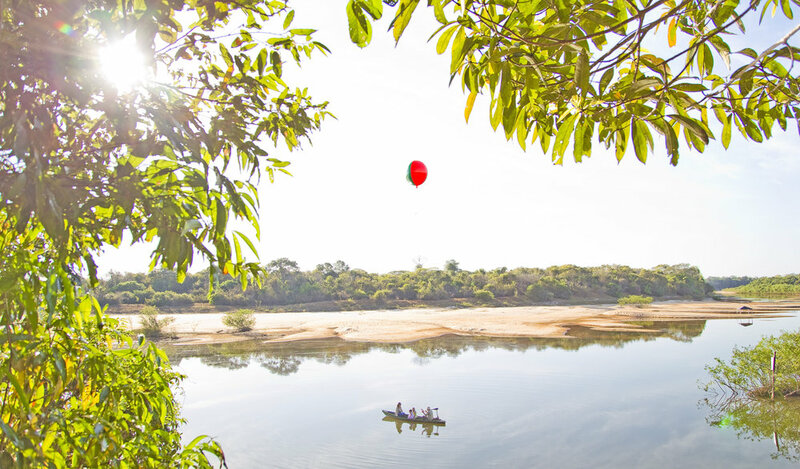 During the dry season, the water recedes to the riverbed, leaving behind hundreds of isolated lakes, which serve as reproductive and nursing grounds for several species of Amazon fish. Cantão alone hosts 800 out of the 1100 lakes in the region, and is often referred to as the “nursery of the Araguaia”, with more species of fish than in the whole of Europe. Such abundance of fish has turned Cantão’s igapós, lakes and canals into one of the best habitats for aquatic predators such as the pink dolphin, the giant otter, the black caiman, pirarucú fish and the jaguar, known to be the most aquatic feline.